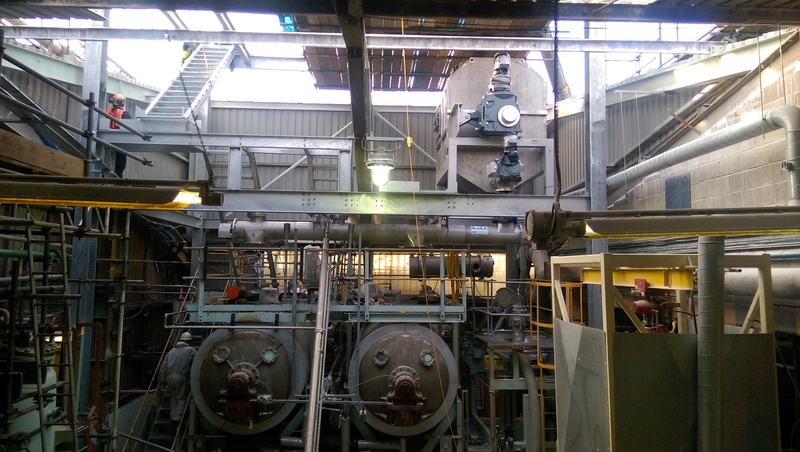 Solids handling specialist, Ajax Equipment, has supplied leading speciality chemicals producer, Vertellus, with an agitated screw feeder and screw conveyor for its Teesside, UK plant. The site supplies monomers and performance enhancers for the plastics and polymers market, as well as, manufacturing advanced intermediates for pharmaceutical, agricultural chemicals and photographic applications. 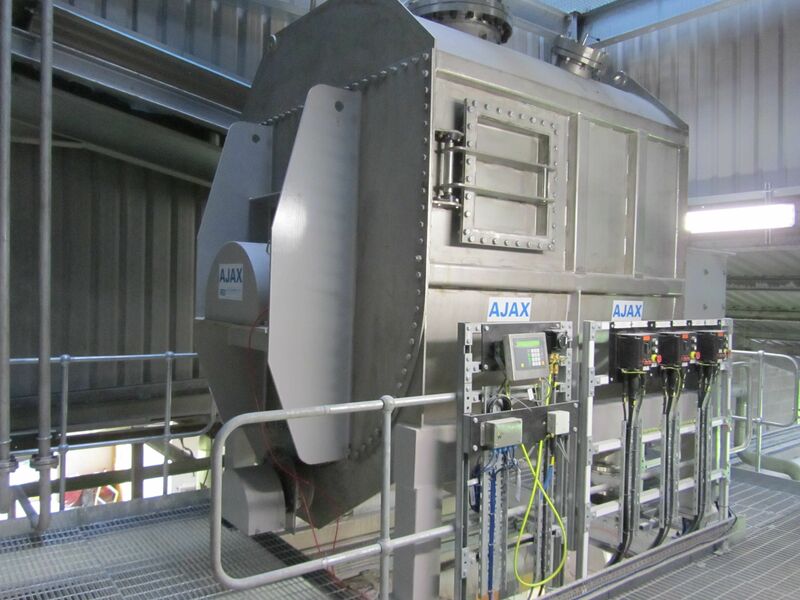 Capable of holding 3.5T of damp centrifuge cake, the agitated screw feeder is the largest produced by Ajax to date. The stainless steel unit has a large capacity hopper with multi-bladed agitator to provide gentle agitation to maintain ‘live’ product condition, disturb any potential consolidation and deliver positive infeed to the integral screw feeder. 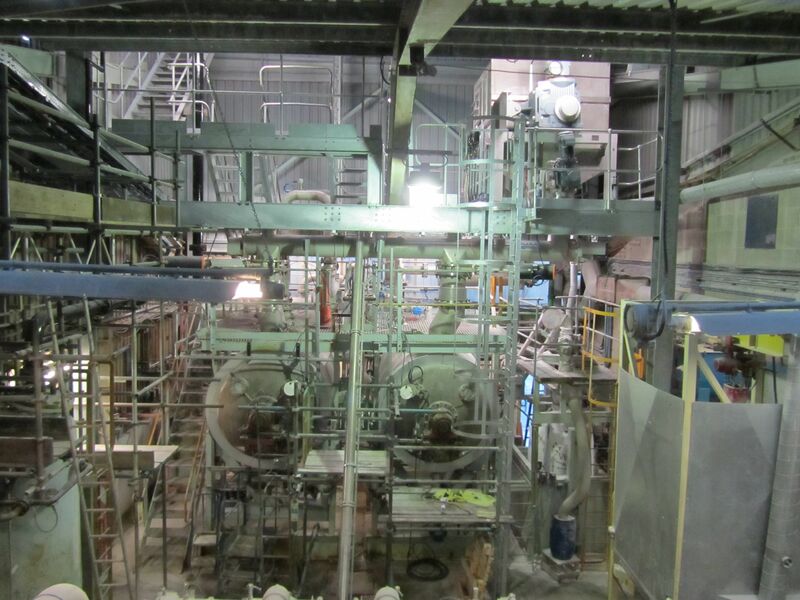 Once discharged, the cake is transferred to two dryers via a long screw conveyor. Special care was taken in outlet and screw design to ensure output goes to the appropriate dryers. The screw feeder and conveyor both feature LynFlow ribbon flights which inhibit adhesive materials from clogging up the screw.